So many benefits — avoid stroke, heart attacks & lower your blood pressure – just to name a few! Hypnosis is finally the key to doing what your doctor, friends and family have all been telling you for years – Relax! With so many illnesses and diseases related to uncontrolled stress relaxing is not only for creating emotional calmness, but it is vital to maintaining good health. My Relaxation Hypnosis MP3 will help you! Heart disease remains the number one killer in America. In fact, 90% of Americans at some point in their lives will have high blood pressure. One half of them will die from heart disease or stroke. Americans visit the doctor millions of times each year for stress related illnesses. These include high blood pressure, chronic headache, and digestive disorders. Many if not most of these physical maladies are attributed to excessive, untreated levels of stress. So many prescriptions are written to help people sleep at night because they are so stressed out with the pressures of work, money and relationships. If you want to avoid taking sleeping pills (that are often addictive), tossing and turning all night, or walking around with that knot in your shoulder from being stressed out, there is an alternative known as relaxation. Hypnosis can eliminate or reduce much of ails us when we learn to truly relax. Hypnosis works at night to replace the constant stressful messages running through the mind with calming thoughts. It immediately relaxes the mind and the body follows suit. Within 3 weeks, hypnosis can even change the typical Type A personality with one that is more calm and relaxed in general. Clinical Hypnotherapist, Steve G. Jones has created the Relaxation Hypnosis MP3 program to be used each night before bed. While listening to the hypnosis program the participant is taught to let go of stressful thoughts and relax muscles, breathe more deeply and create a completely new physical and mental state that is calm and balanced. If Steve G. Jones can help patients end road rage in Los Angeles, he can certainly help YOU!!! Let this hypnosis mp3 change your life!!! Stress is very EASY to control with hypnosis. Listening to this mp3 will put your mind at ease and help you become a more calm, centered person! Positive suggestions for change will go to your subconscious mind EASILY and EFFORTLESSLY as you listen to this mp3 at night. It will allow you to un-wind from your day, and after three weeks of listening to it at night, you will be a much more CALM, RELAXED person. Steve G. Jones achieves AMAZING and LASTING results!!! Hypnosis is the easiest way to affect change in your life because the positive messages go straight to your subconscious mind effortlessly so you can accomplish your goals and reach for the stars!! All you have to do is listen to the Relaxation Hypnosis MP3 session at night as you go to sleep!!! You’ll hear soft music, the gentle sounds of the beach, and the soothing sound of Steve G. Jones’ voice all working together to bring about positive changes in your life easily and naturally. Steve G. Jones has been helping people improve their lives with hypnosis for over 17 years…now it’s time for him to help YOU… don’t wait, do it NOW !!! you’ll be glad you did. See you at the top! What do you do to unwind at the end of the day? What do you do to take time for yourself? What calms and soothes you when you are having a hard time? Relaxation is such an important part of our lives. So many of us are stressed out about work, relationships, and money. What do you do to escape? There are so many different ways in which you can relax. You can meditate. You can read a book. You can watch TV. You can take a power nap. If you don’t take time to yourself every day to unwind, then I encourage you to do so. Added stress can wreak havoc on our emotions, our body, our relationships, and our lives. If you don’t take time to relax and unwind everyday, I encourage you to find a way to make it happen. It’s no fun being stressed out and tense. Imagine living a life with a little (or A LOT) less stress. Less stress sounds good to me! Because you are now relaxed, let any feeling that you have buried come to the surface. Examine those feelings, decide which ones you would like to keep and which ones you want to discard. Keep the ones you need right now and cast away the others. It is alright for you to feel sad or depressed sometimes. It is your way of being good to yourself. Depression is a healing process so you can allow yourself to mourn or be sad and when you have completed the time of sadness, set yourself free. You are good to yourself and the time will soon be over for those feelings, those feelings of sadness and you will be free from them. You will feel free because you can accept or discard any feelings at all. Discard any feelings you are through with. Feelings are yours and you can let them come and go, come and go as you need them. Now relax and continue to relax and feel yourself relaxed with your feelings and think of how you are a whole person with many feelings which make you whole and healthy. And if any unwanted outside pressure comes at you, you are surrounded by a shield that protects you from pressure. The shield will protect you from the pressure. The shield prevents outside pressure from invading you. 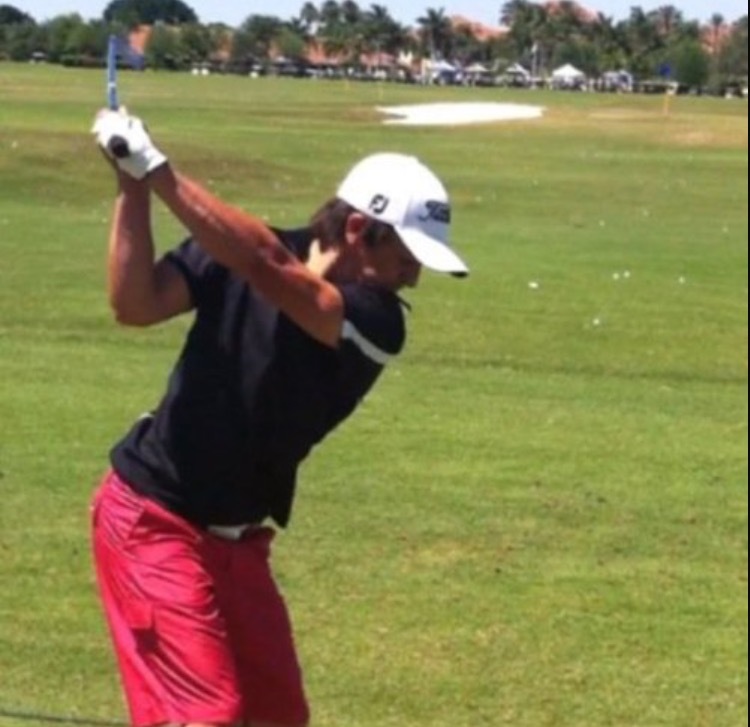 Pressure bounces off and away from you, bounces off and away. No matter where it comes from or who sends it, it just bounces off and away. It bounces off and away, off and away. You feel fine because the shield protects you all day from stress and pressure. You go through your day feeling fine. You watch the stress bounce off and away. The more stress outside, the calmer you feel inside, the calmer you feel inside, calm inside. You are a calm person and you are shielded by stress. You act in ways that make you feel good. Your days will be full of accomplishments and you will be pleased by those accomplishments. Your days are becoming more and more pleasant. You are calm and strong and free from stress. You are completely free from stress. You are completely from stress. You are a calm person. You are a calm person. You are a calm person and that feels wonderful. Relaxation should be a top priority for you in your life. You should take some time out of your day, everyday to relax and unwind mentally and physically. Relaxation allows your mind and body to repair itself. By taking time of your busy day and relaxing, you are giving yourself extra energy and inner peace to accomplish more throughout your day. Hypnotherapy is the perfect tool to use to master relaxation. The Relaxation Hypnosis MP3 download puts you into a relaxed state through what is called an induction. An induction is a long and relaxing story. They often take place on the beach or in nature where no distractions exist. 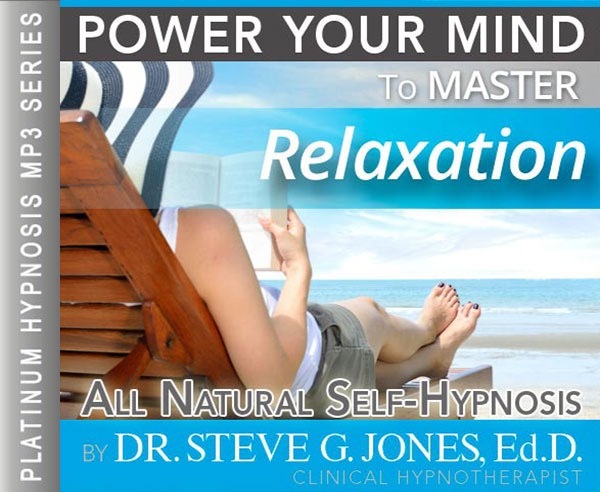 On this relaxation hypnotherapy session, Steve G. Jones will give you powerful suggestions on how you can incorporate more relaxation time into your life. This hypnosis session will help you reduce your stress levels by helping you relax. We suggest you listen to this recording for 21 nights in a row as you go to bed at night. As you relax, you will slowly go into a state of hypnosis where you will feel relaxed and in control. The hypnosis session will give you positive affirmations and it will help you relax whenever you are in need of relaxation.